A SOLID REPUTATION OF OHIO RV SALES AND SERVICE . . . It all began back in 1971 when John and Nancy Pastore set out to create a different kind of RV dealership in Ohio. They wanted a place where families could shop in a hassle-free, no pressure environment. A place where the golden rule was practiced as part of the business culture. With modest beginnings...seed money from John’s father, hard work, and prayer...John and Nancy’s dream was realized. Today Hartville RV Center, Inc. boasts one of the largest inventories of towable RVs in the state. Our parts and accessories store is stocked full of products that will make your RV the perfect get-away unit. Our award-winning service department is the talk of the RV community. In fact, we have received so much recognition for our dedication to customer service, the industry's largest publication, RV Business, did an article on us as one of the ten RV dealerships in the nation that other dealerships should emulate. We invite you to go deeper into our web site or call us at 800-686-0201, and let one of our helpful staff assist you with your RV needs. 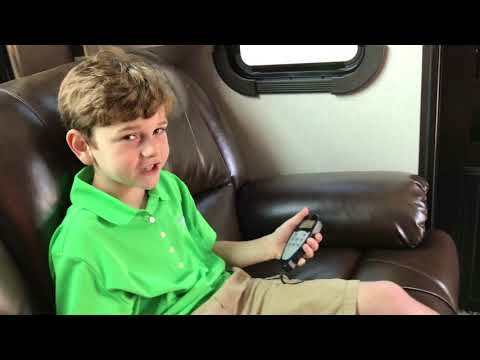 Contact Us - Let us help you answer your questions, or get additional RV information.